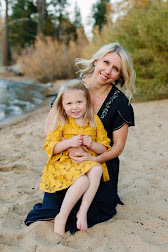 Nearly ten years ago I moved to Lake Tahoe, by way of Los Angeles, and it took awhile to embrace the mountain town and it's fashion sense. Although, I'm not ready for summer to end. I'm ready for skinny jeans, boots, chunky sweaters and flannel. Yup, flannel. I never thought I would say it. If you peeked in my closest you would notice a number of plaid/flannel pieces ranging from a cozy scarf to snowboard jacket. I love me some plaid. 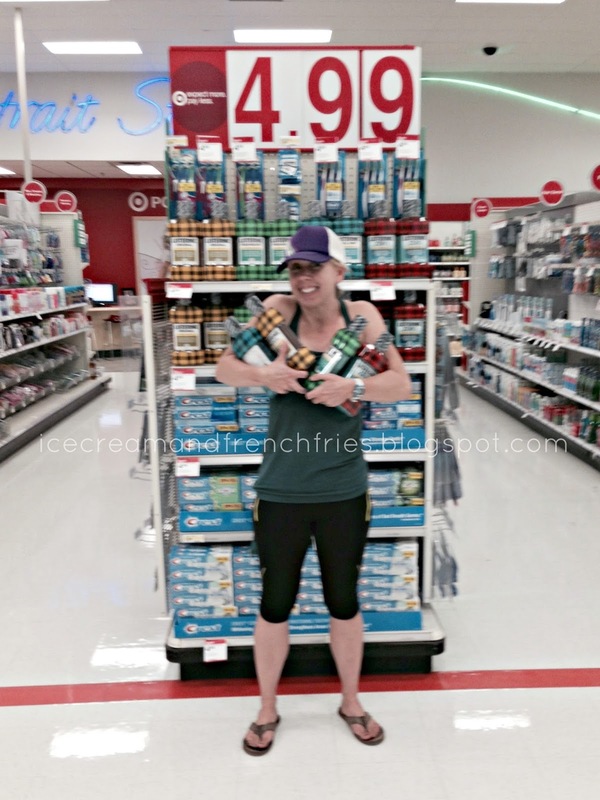 Have you been to Target lately? They are on point this fall. I'm dreaming of a guest room or mudroom makeover in the near future. While I didn't take home any new decor, I did score a limited-edition 'Mad for Plaid' bottle of LISTERINE®. Anyway, curious to see how I'm styling plaid this fall? I pulled together three looks for you, from date-night to running errands. Dating in a mountain town isn't easy -- especially when the girl to guy ratio is 5:1. Luckily my single days have long passed, but it doesn't mean my hubby and I still don't have date nights. We usually keep it simple Sushi, Mexican or Greek. 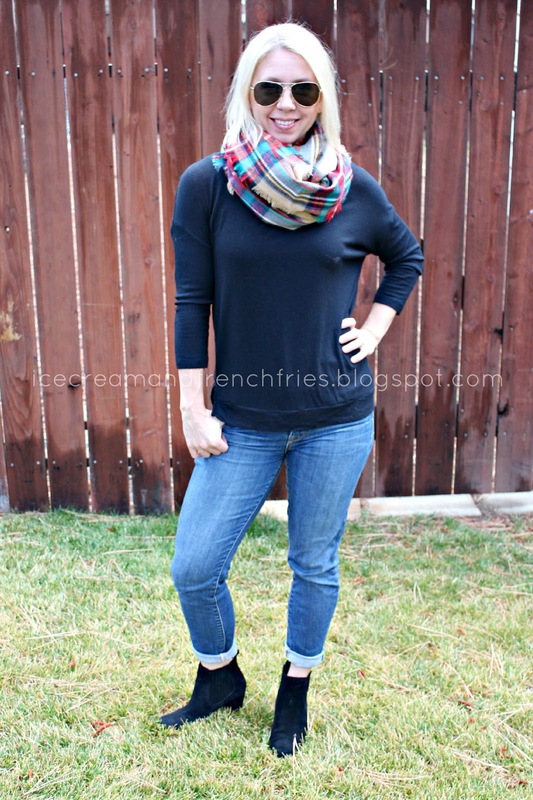 My go-to fall date night attire: black top, skinny jeans, booties and my favorite blanket scarf [I scored this Zara knock-off at Target last year]. Other than flannel/plaid I learned to embrace puffy vests. 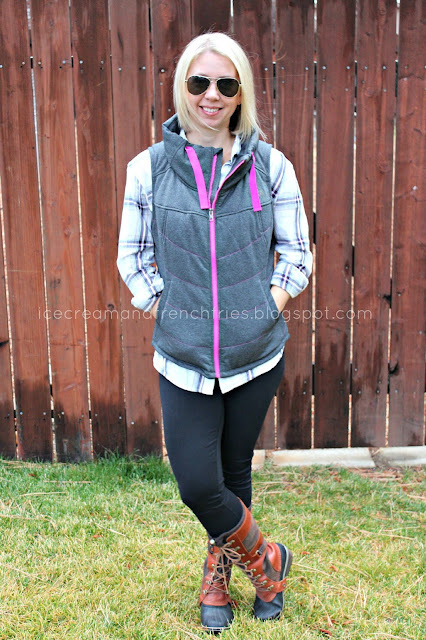 This is practically my fall/winter uniform: boyfriend plaid top, puffy vest, leggings and my favorite Sorel's [perfect for rainy or snowy day]. 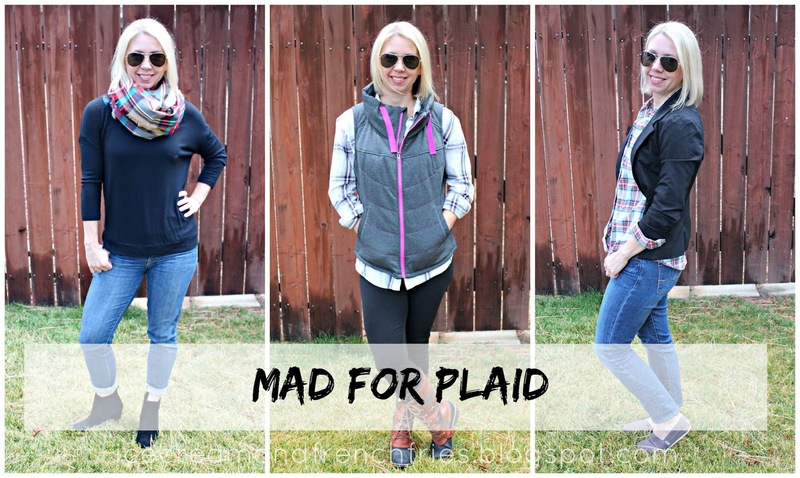 Want to rock plaid in the office? I do all the time. Here I'm wearing a plaid button down, 3/4 sleeve blazer, skinny jeans and TOMS. Can't wear jeans to work? Try pairing your plaid top and blazer with a pencil or maxi skirt and booties. When I wasn't looking, my husband snapped a photo of me getting ready the other day. HA! Sneaky, sneaky. 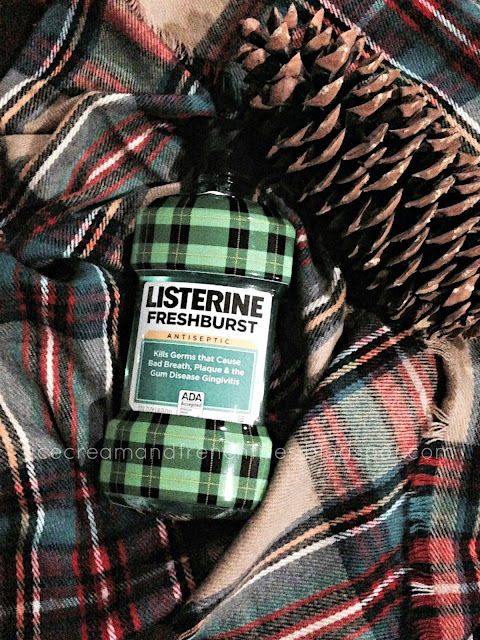 I had a good laugh because even my LISTERINE® mouth wash is plaid! What's a girl to do?! I couldn't help myself at Target! They're all mine..... LISTERINE® is taking it to a new level through their latest partnership with Target. You can find the limited-edition 'Mad for Plaid' collection at Target September 13 – October 31. Get ready and tag your pictures with #RinseMadeRad! Did you know, if you were to incorporate LISTERINE® mouthwash twice-daily into your routine, you'll clean virtually 100 percent of your mouth and achieve up to five times healthier gums in two weeks and up to nine times healthier gums in four weeks! What are you waiting for?! Head to Target and pick up a bottle from the LISTERINE® 'Mad for Plaid' collection today. For more about LISTERINE® Brand products, visit www.listerine.com. Do you love plaid? What's your favorite piece this season? Let me know I'm always on the hunt. Loving all the plaid :)!